Remember the dystopian model village originally from Banksy's Dismaland? It's coming back to London for a very limited time from today — this time at a brewery. 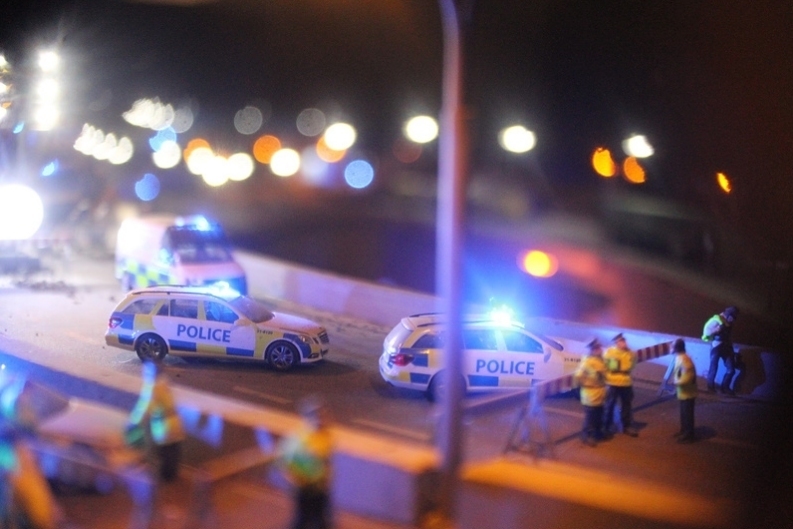 Jimmy Cauty's Aftermath Dislocation Principle aka 'New Bedford' imagines a Britain where something's gone horribly, horribly wrong, and chaos reins (hard to picture such a thing isn't it?). The huge diorama is at Crate Brewery in Hackney Wick for just four days, housed in a 40ft-shipping container. This is a great chance to sink a couple of craft beers and laugh at a situation that could never possibly happen to our country in actual life. See the model village from 28 June-1 July daily noon-10.30/11pm, outside Crate Brewery, Queen's Yard, E9 5EN. Free entry. On 28 June there's an opening party at neighbouring Mick's Garage at 7pm.